Most people think of stroke as an older person’s condition, but many younger women may be at risk of having a stroke—and not even know it. 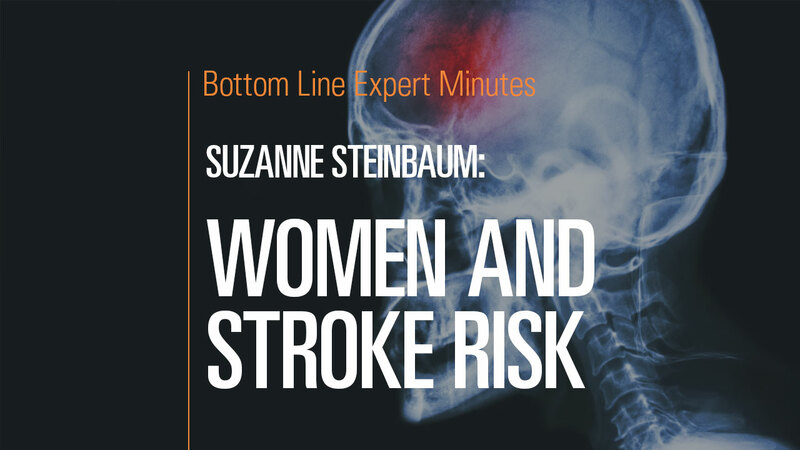 In this video, Suzanne Steinbaum, DO, author of Dr. Suzanne Steinbaum’s Heart Book: Every Woman’s Guide to a Heart Healthy Life and Bottom Line’s “At the Heart of It All” blog, explains that younger women face an increased risk for stroke due to pregnancy and/or high blood pressure. During pregnancy, estrogen levels rise dramatically. This hormone is related to blood clotting, so an increase in estrogen can potentially lead to a stroke. Younger women who suffer from high blood pressure also are at risk of having a stroke. To counteract these negative factors, women should follow their doctor’s advice, particularly in the case of pregnancy.